This all-volunteer effort is dedicated to preserving and protecting our Texas coastline, including Galveston Bay. As part of the event, volunteers had the unique opportunity to document the different types of trash collected on the Ocean Conservancy’s Clean Swell App, an app used globally by the public to collect and study trash findings across the many waterways and oceans of the world. 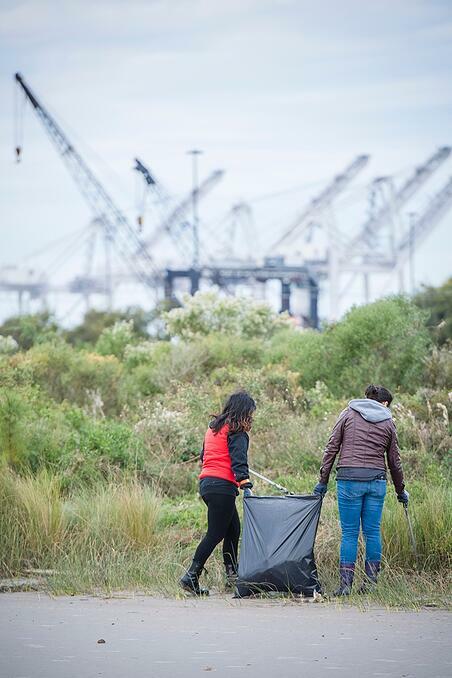 Volunteers of all ages worked together to collect nearly one dumpster’s worth of trash and potential marine debris, demonstrating their commitment to environmental stewardship and keeping Galveston Bay clean and beautiful.